No pictures found for plate number HAM4304 in New York, United States. click here to add a picture. No videos found for plate number HAM4304 in New York, United States. click here to add a video. No owners found for plate number HAM4304 in New York, United States. click here to add an owner. 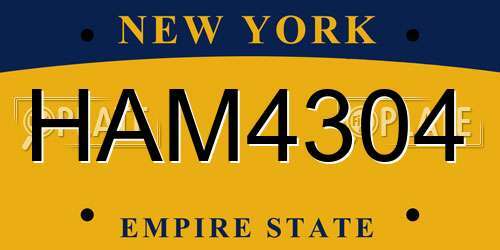 No related websites found for plate number HAM4304 in New York, United States. click here to add a related website. This defect can affect the safe operation of the airbag system. Until this recall is performed, customers should remove all items from their key rings, leaving only the ignition key. The key fob (if applicable), should also be removed from the key ring. 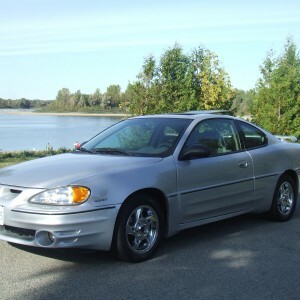 General Motors LLC (GM) notified the agency on July 3, 2014, that they are recalling 5,877,718 model year 2000-2005 Chevrolet Impala and Monte Carlo, 1997-2003 Chevrolet Malibu, 2004-2005 Malibu Classic, 1999-2004 Oldsmobile Alero, 1998-2002 Oldsmobile Intrigue, 1999-2005 Pontiac Grand Am and 2004-2008 Pontiac Grand Prix vehicles. In these models, the weight on the key ring and/or road conditions or some other jarring event may cause the ignition switch to move out of the run position, turning off the engine. GM will notify owners, and dealers will install two key rings and an insert in the key slot or a cover over the key head on all ignition keys, free of charge. The recall began on September 9, 2014. GM's number for this recall is 14350. FUEL MAY LEAK, POSSIBLY RESULTING IN A FIRE. DELPHI WILL NOTIFY OWNERS AND REPLACE THE UPR FREE OF CHARGE. THE RECALL BEGAN ON APRIL 23, 2007. OWNERS CAN CONTACT DELPHI AT 877-411-8770. THIS RECALL ONLY PERTAINS TO AFTERMARKET DELPHI FUEL PRESSURE REGULATORS AND HAS NO RELATION TO ANY ORIGINAL EQUIPMENT INSTALLED BY GENERAL MOTORS.CUSTOMERS MAY CONTACT THE NATIONAL HIGHWAY TRAFFIC SAFETY ADMINISTRATION'S VEHICLE SAFETY HOTLINE AT 1-888-327-4236 (TTY: 1-800-424-9153); OR GO TO HTTP://WWW.SAFERCAR.GOV. CERTAIN PASSENGER VEHICLES MAY HAVE BEEN BUILT WITH A FUEL TANK THAT DOES NOT MEET SPECIFICATION. A WELD ON THESE FUEL TANKS MAY BE INSUFFICIENT, RESULTING IN A FUEL LEAK. 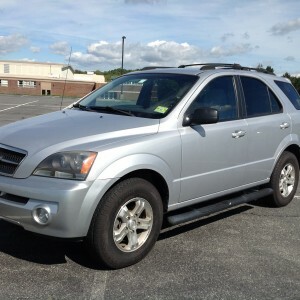 DEALERS WILL INSPECT THE FUEL TANK, AND REPLACE IT, IF NECESSARY. OWNER NOTIFICATION BEGAN ON JUNE 23, 2004. OWNERS SHOULD CONTACT CHEVROLET AT 1-800-630-2438 OR PONTIAC AT 1-800-620-7668. GM RECALL NO. 04058.CUSTOMERS CAN ALSO CONTACT THE NATIONAL HIGHWAY TRAFFIC SAFETY ADMINISTRATION'S AUTO SAFETY HOTLINE AT 1-888-DASH-2-DOT (1-888-327-4236).